ACCEPTED OFFER AND STILL SHOWING FOR BACKUP OFFERS..... Come look at this beautiful ranch in popular Ashford Lakes in New Haven. 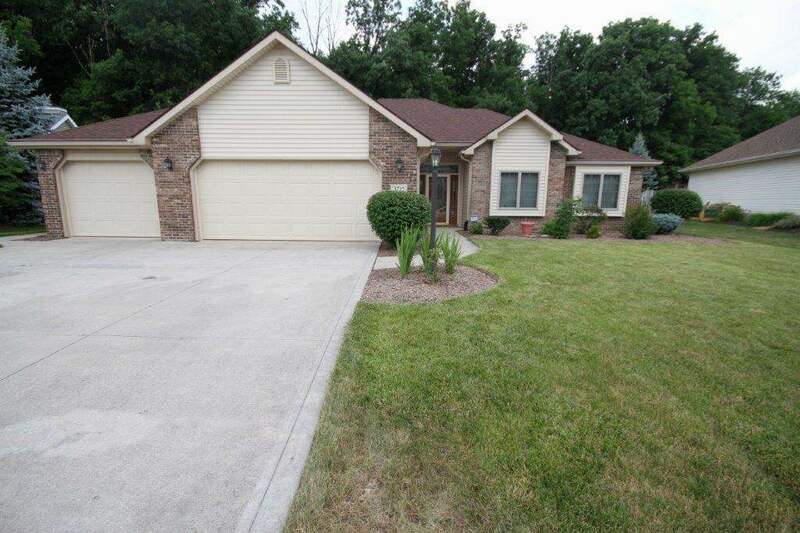 This 3 Bedroom 2.5 Bath home is nestled on a beautiful lot backing up to woods for additional privacy. This home boasts over 1900 square feet with 2 living spaces and a 3 car garage. Floored storage above the garage, accessible with pull down stairs, for additional storage. All kitchen appliances and additional built-in oven are included. Nicely landscaped around the home using an attractive stone instead of mulch. Gutter Helmet was install for clean free gutters. If you are looking for that perfect home all on one level you must set up your personal showing today and take a look at this one.